I always have vinegret on my salad. That’s the yummiest regret! Actually in the drunken tattoo dept. I could live with that guy. I did live with that guy ….. every day for 5 years! 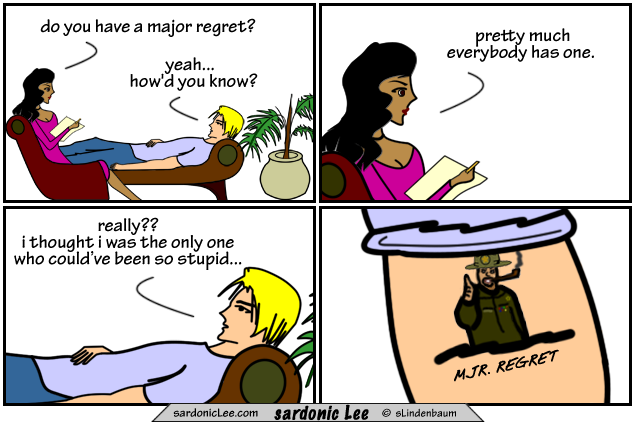 Sahdoe would like to know if herpies counts as a “Major Regret”…..?????? Is Mjr. Regret a real character? He should be.